Melbourne trio LÛMIS explore relationships in their meticulously crafted debut single ‘Drift’. Seamlessly blending electronic and funk; Retro synths give way to a groove-tinged bassline and the impeccable vocals of Imogen Brough. ‘Drift’ is instantly an upbeat jam to help you welcome the Summer months. Ensuring their debut single’s high-quality production, engineering and co-producing duties were handled by Steeve Body (De La Soul, Yothu Yindi) and mastering by Ben Feggans (RUFUS, Flume). The impressive debut comes from years of experimenting with various instruments and is heavily influenced by M83, Peter Gabriel and Hans Zimmer. The group are slated for big things in 2019 with a debut EP already written, including features from some of the worlds most in-demand newcomers. 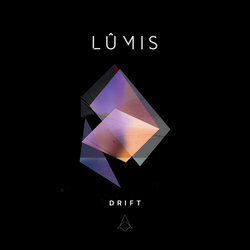 Keep LÛMIS on your radar as they reveal the accompanying video for ‘Drift’ in the coming weeks.